Freesia is a popular selection for vase arrangements where color is needed and may be arranged wither other flowers or as standalone decor. It generally emits a subtle, sweet fragrance and has become a spring flower favorite. For those seeking a more fragrant flower, oriental lilies are considered an excellent option. It represents innocence, thoughtfulness, and trust. These outstanding flowers are usually used in spring weddings, parties, and events. It is available year round in assorted colors from our farms in South America and California. 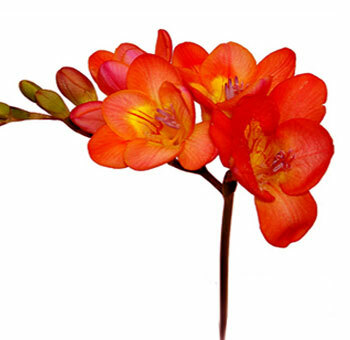 Freesia flowers are known for their bell-shaped blooms which are famous for their sweet and citrus scent. The flowers are cross bed frequently resulting in about 1,400 species all over the world. Mostly yellow freesia and purple freesia are widely known for their scent, and they stand to symbolize innocence and trust. The meanings of the flower differ according to the varied colors of the flower. The flower is a part of the Iridaceae family and is known as a perennial flower. The freesia season is mostly during the warmth of the summer. Floral growth is most intensified during the summer season. Freesia was essentially named after a German botanist, Friedrich Freese. The name was given as a tribute to the esteemed scientist. These flowers are widely known for their fragrance and are native to South Africa. The major part of the species is from the Cape provinces of the continent. These are referred to as the hybrids of Freesiaspecies. They mostly grow as wildflowers and can be termed as ornamental flowers. You can get your hands on bulk freesia flowers for sale from trusted online florists like Whole Blossoms. These flowers come with sinewy stems, and hence, the most prevalent variety of the flower is called as Ballerina. They stand to symbolize friendship, sweetness, and thoughtfulness. So, these flowers can fit perfectly for wedding anniversaries. Furthermore, these flowers are really famous as wedding flowers due to their delicate blooms along with their fragrance. They can go perfectly with other floral arrangements and displays. Get bulk freesia flowers for sale with the best quality and freshness from top online floral shops. These flowers can attract any onlooker's gaze and hence, are used as table centerpieces and also as bridal bouquets. The flowers can go as high as 1 foot with slender stalks. The wide variation of lavender or white freesia makes a powerful and bold statement. There are about 16 different species of the flower with their distinct beauty and feature. The white variant of the flower is known for its fragrance and symbolizes purity and innocence. They are popularly used as wedding flowers for bridal bouquets. It stands to represent the trust between the couple. 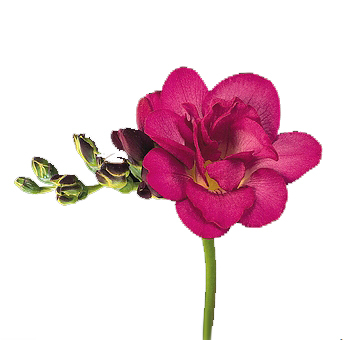 The pink and red freesia are highly scented and are known for their delicate blooms and wiry stems. They are regarded as one of the most popular varieties of freesia. The freesia season is during the summer while it represents the warmth of friendships and thoughtfulness. They can be perfect gifts for friends, family, and loved ones. 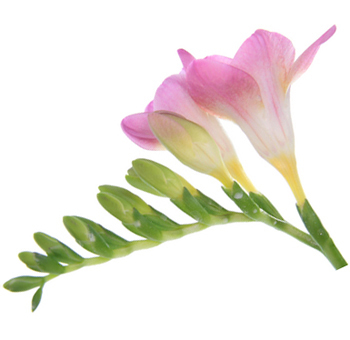 The pink colored freesias also stand to represent motherly love. 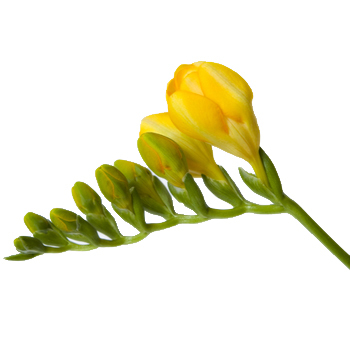 The yellow colored freesias can be bright to represent friendship and joy of something new. The variety of hues speak volume of its exotic flavors which are widely sold as individual blooms or even as sets of different colors. They are upward facing blooms which go perfectly with varied floral arrangements. 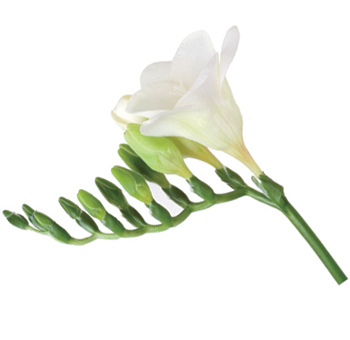 The citrusy smell of Freesia is as enlightening as the appearance of the flower. These flowers can have a vase life of up to a week to 10 days in total. Since decades, they have been extensively used in floral arrangements in wedding bouquets and other special occasions. The delicate nature of the flower is appreciated throughout the world and can make the most charming centerpieces for weddings. Bridal wedding bouquet can get the perfect tinge of delicacy with their presence. Where to buy freesia flowers online with the best quality and price? 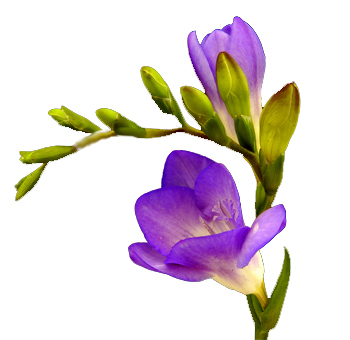 You can get your hands on bulk freesia flowers for sale with fast and easy delivery by online florists. 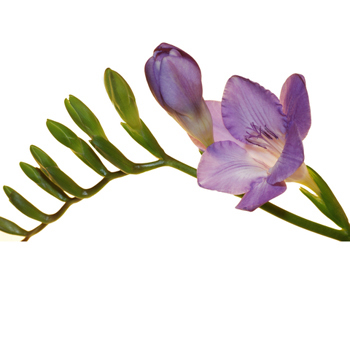 In the true language of nature and flowers, freesias are widely known to symbolize friendship and innocence. Surf through trusted online florists like Whole Blossoms and get the best selection of flowers delivered right to your doorstep. You can easily order freshly assembled flowers at a single click. 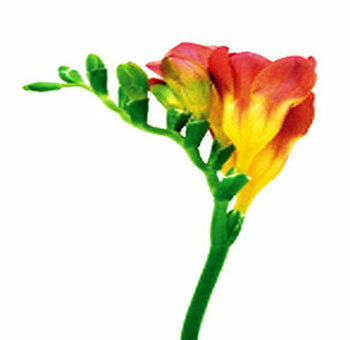 Choose from the wave of colors of the charming Freesias and celebrate the special occasion with your loved ones. These exotic looking flowers along with their alluring fragrance stand as upward pointing flowers with a stream of color ranges. The flowers have also been used in works of arts by different artists. And they are widely used in wedding bouquets to symbolize the trust between the newlyweds. Map out creative ideas and floral arrangements to pair up with these beautiful and exquisite flowers. 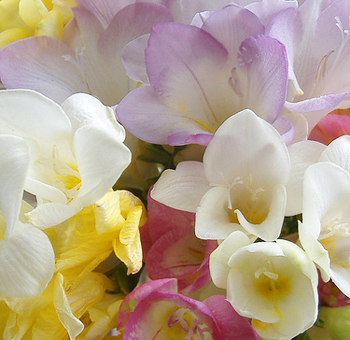 Get the best quality of freesias with Whole Blossoms. The flower carries multiple meanings and hence, can be the best flower to share its exotic beauty with. They can be the perfect choice for bridal bouquets and wedding themes with their vibrant range of colors. These elegant flowers can bless any special occasion with their presence.